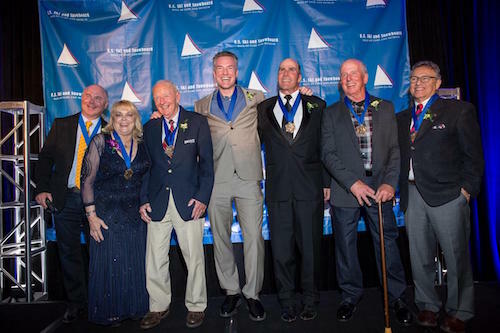 Little over a week ago, the Class of 2015 was inducted into the US Ski and Snowboard Hall of Fame. As always, it’s an impressive group with an amazing list of achievements (for the full list, go here). 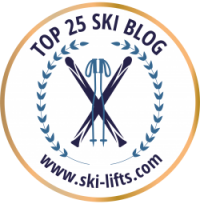 A big Ski Diva congratulations to all. I was especially excited about the inclusion of Genia Fuller, a true pioneer in freestyle skiing and a three-time World Freestyle Skiing Champion. But then I realized something: out of the seven new inductees, she was the only woman to receive this honor. So it made me wonder: how many members of the Hall of Fame are female? The results may surprise you: out of four hundred and ten inductees, there are only sixty women. Yes, you read that right. Sixty. That’s 15%. I was surprised, too. I mean, what’s going on here? Why so few? 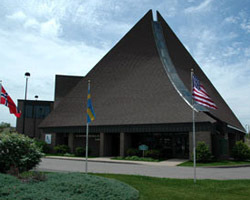 Established in 1956, the Hall of Fame is dedicated to preserving and promoting America’s ski heritage through the permanent recognition of nationally outstanding skiers, snowboarders, and ski sport builders. 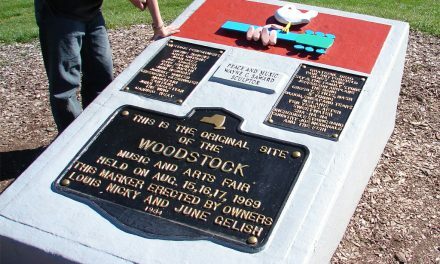 It’s headquartered in the City of Ishpeming on the Upper Peninsula of Michigan, where the National Skiing Association was first organized over a century ago, and features a museum with displays on the Hall of Fame honorees, trophies, clothing, and equipment. There’s a gift shop, too, as well as a library and theater. Admission is free, and visitors are welcome 10AM to 5PM, Monday thru Saturday year-round. So how are Hall of Fame members selected? First, they need to be nominated. And this can be done by anyone. That’s right — you, me, your mom, your sister, anyone. All you have to do is visit the Hall of Fame website and download the nomination form. Nominees are taken in one of three categories: Athletes, which is pretty self explanatory; Snowsport Builders, who are people who have made significant contributions to skiing or snowboarding and who aren’t athletes; and Heritage, which can be athletes or snowsport builders who have been retired from their qualifying activity for 25 years or have participated in it for at least 25 years. You can find the eligibility requirements here. Once the nominees are in, they’re vetted by a selection committee, which reviews the candidates and determines the final slate via secret ballot. 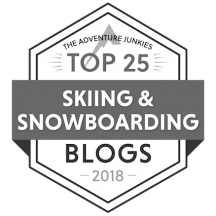 This is then submitted to a national voting panel made up of members of the selection committee, honored members, members of the USSA Awards Working Group, and directors of the US Ski & Snowboard Hall of Fame and the US Ski and Snowboard Association. The chairman and the board of directors may also appoint a reasonable number of individuals to the national voting panel, including those having distinguished careers in snowsports and holding expert knowledge in snowsports history. Honorees are announced in October, and the induction ceremony held the following April. Which brings me back to my original question: why so few women? First, history. 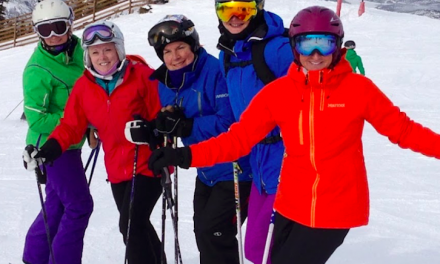 The snowsports industry has long been dominated by men. This is changing (albeit slowly), but years ago, things were very, very different. The individuals involved in building the resorts or developing products or technologies were almost exclusively male. That means there’s a larger pool of men to draw from, which tips the scales in favor of male inductees, particularly in the Heritage and Sport Building categories. The result is more men in the Hall. Second, the nomination process. As I said earlier, anyone can submit a nomination. So to get more women honorees, more women have to be put up for a vote. And that’s where all of us come in. Nominations for next year are being taken right now through the end of April, so if you like, you can have a hand in selecting the Class of 2016. Please, get involved, and we can change this. It’s up to us. 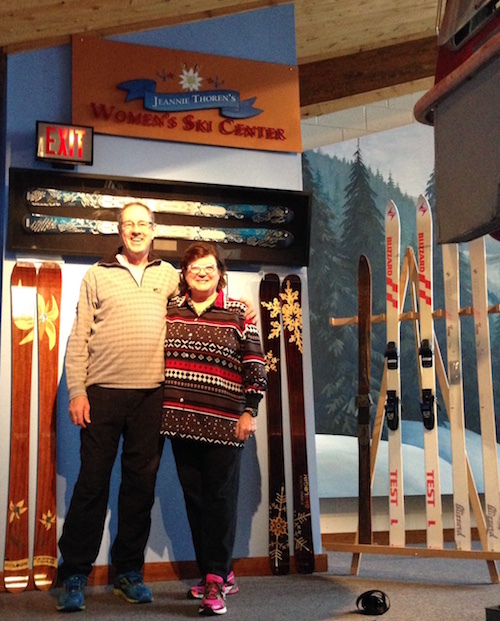 BTW, the Hall of Fame Museum is working on a Women in Skiing Exhibit, which will focus on the female honorees and their achievements. Spearheaded by honoree Jeannie Thoren, the exhibit is slated to open in September, 2016. Here she is at the entry to the exhibit with her husband, Thomas Haas. Photo courtesy of Jeannie Thoren. Want some inspiration? I’ve had the pleasure of interviewing several female Hall of Fame honorees for this blog: Muffy Davis, Donna Weinbrecht, Suzy Chaffee, and Deb Armstrong. Interesting reading, so be sure to check them out! 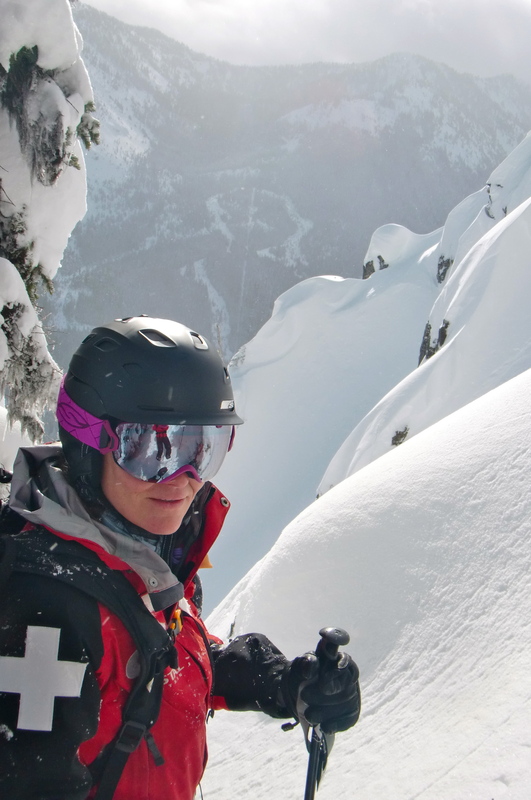 Next10+ Tips for Taking Care of Your Skiwear.